We all have a unique sensory profile. Some of us are sensitive to noise and can’t stand concerts or sporting events. Some of us are sensitive to light and get headaches when we are in a room with fluorescent lighting. Some of us are sensitive to smells or to certain textures. Despite these sensitivities, we are able to adapt and our daily lives are not impaired. The difference between a child with SPD and a child with a more typical sensory profile is that the child with SPD has intense sensitivities that interfere with his daily functioning. SPD manifests differently with each child, depending on his or her unique sensory profile. There are three main types of Sensory Processing Disorders as well as six subtypes. While some children with SPD are only affected in one sensory system, most are affected in multiple sensory systems. Overwhelming, I know. But it helps to look at each type and subtype. Sensory Modulation is the brain’s ability to regulate sensory input. It allows the brain to decide which sensory information is important and which information should be ignored. It plays a role in regulating one’s attention and activity level. If you have good sensory modulation, you can unconsciously tune out background noise or motion when you are listening to someone speak so that you can listen attentively. Children with poor sensory modulation can’t do this. They have trouble interpreting sensory input into appropriate responses to match the intensity of the sensory input (Miller 2006), which directly impacts their experience of the world and their experience of their place in the world. To understand this better, let’s first understand the three subtypes: sensory over-responsivity, sensory under-responsivity, and sensory seeking. My older son is over-responsive to certain sensory input. For example, he is extremely sensitive to light and screams as if he is being tortured if he goes outside without his sunglasses on. He is over-responsive to tactile input and as a younger toddler would become extremely upset by even the sight of different textures such as finger paint, foam, bubble baths, and ball pits--things most kids love to play with. 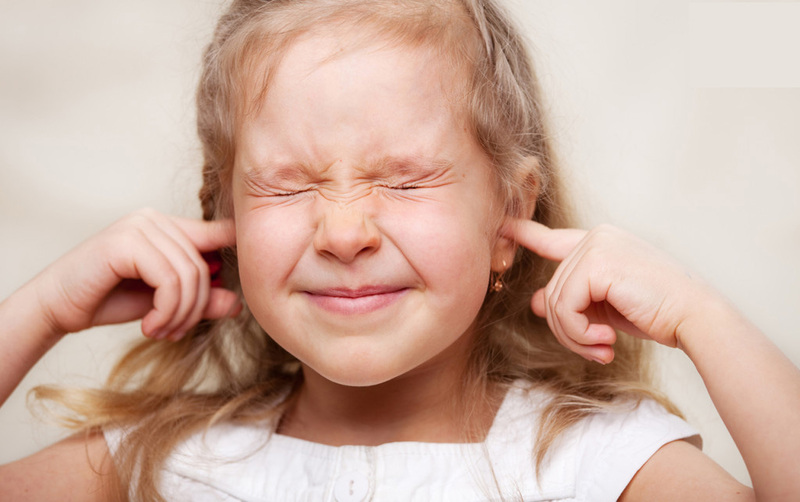 Children like my older son often have a “fight or flight” response to sensations like loud noises or an unexpected touch, which makes them seem like “difficult” or “bratty” children. The reality is that their little nervous systems are constantly on high alert, making life pretty scary and difficult. The second subtype is Sensory Under-Responsivity (SUR). These children may seem quiet, passive, or withdrawn. They are often described as “dream babies” because as infants they sleep well, rarely cry, and don’t demand much from their mothers. As they enter toddlerhood, parental concerns usually start to arise due to their difficulty engaging and initiating interactions with people. These kids may not perceive objects as being too hot or too cold. They may not notice pain in response to falls, cuts, or scrapes. Though this seems contradictory, symptoms of sensory over-responsivity and under-responsivity can be present in the same child. This is true for my son who is over-responsive to vestibular input and under-responsive to proprioceptive input. He screams when he is turned upside down (over responsive) and he craves more input through his joints through things like toe-walking or being held really tight (under responsive). Another example is a child who has an extremely high pain threshold but is agitated by certain textures. The third subtype is Sensory Craving (SC) These kids “have an insatiable craving for sensory experiences and actively seek sensation, often in ways that are socially unacceptable” (Miller 2006). These kids cannot sit still, they are constantly crashing, running, jumping, banging, and roughhousing. They often take excessive risks during play and can become aggressive if their quest for sensation is thwarted. They can be invasive towards others, and do not understand the idea of “personal space”. These are the kids who get flagged early on as being “troublemakers” and, because they are so overly active and seem to have trouble controlling their impulses, their symptoms often get confused with ADHD (Miller 2006). This is my younger son. It’s as if he has a motor inside his body that is on full-throttle all day long and never shuts off! Parents of these kids tend to experience a higher level of exhaustion! A child with SBMD has impaired proprioceptive and vestibular senses. These are the two sensory systems that govern our movements. These kids have trouble with balance, coordination, and performing a sequence of movements. There are two subtypes of SBMD: Dyspraxia and Postural Disorder . Dyspraxia is a fancy word to describe difficulties with movement. It can manifest as difficulty with gross motor, fine motor, or oral motor, as well as any combination of these or all three. As infants, these kids were slow to roll, sit up, crawl, and walk. Their movements appear awkward and they might be labeled as clumsy. They may fall a lot, bump into people and things, and be unable to complete a series of movements such as putting their clothes on. Those with oral motor difficulties often have trouble chewing and eating and are at higher risk for speech delays. They have difficulty learning new movements like riding a bike or playing a new sport. Staying organized is difficult and they may take a long time to do things that require following a series of directions. These kids tend to have a very low frustration level and are at higher risk for developing low self-esteem. My older son has dyspraxia. In fact, this was one of the first red flags during his infancy. Though at the time I had never even heard of the word dyspraxia, when he was four months old I noticed that his movements seemed stiff and awkward. He was slow to meet some of his gross motor milestones and had difficulty with things that seemed easy for other children like climbing up and down stairs and playing patty cake. Now he’s in preschool and he has trouble following along when the teacher sings songs with hand motions or when they do yoga (definitely a Southern California thing!). He tends to stick to activities that he's familiar with and is hesitant to try new things on the playground. A child with dyspraxia, like my son, can be prone to being “bossy” when playing with other children because while he may know what he wants to do, he might not be able to physically do it. The second subtype of SBMD, Postural Disorder, occurs when a child has low muscle tone and is unable to maintain control over his body to adequately perform motor tasks (anything that involves movement). Our core is the foundation for our quality of movement. If you have a weak core, as children with Postural Disorder do, your quality of movement is going to suffer. Many children have both Dyspraxia and Postural Disorder. My older son is one of these children. Kids like my son have a combination of low tone and poor proprioception, which makes it difficult to have a good sense of where their bodies are, making it more challenging to plan their movements. My son loves to play on the playground, but he is careful to stick to activities that he feels comfortable with. He loves to run around but after being at the park for awhile he inevitably melts down because he is easily tired. It’s frustrating for him because he wants to play and have fun, but his body limits him. Prior to being educated about SPD, I used to feel so confused by his seemingly out of nowhere meltdowns. One minute, he’d be running around having a blast and the next minute he would be having a massive meltdown, garnering plenty of stares from other kids and parents. Now that I have a better understanding of what is going on with him, I can plan ahead when we're at the park and prompt him to take water breaks or snack breaks so he can have a quick rest and then continue playing. “Sensory discrimination is the ability to interpret and distinguish messages within sensory systems” (Miller 2006). Most of us can do this without thinking about it. For example, if we need a pen and we reach inside a purse to find one, we can feel around without looking to find it. We can do this because our brains naturally know how to discriminate between the feel of a pen and a lipstick. If you have poor tactile discrimination, you would not be able to do this without looking because your brain would not naturally be able to tell the difference between the two objects by just feeling them. A child with poor visual discrimination might have trouble telling the difference between written letters such as a p or a q. A child with poor auditory discrimination might not be able to perceive different sounds such as a p or a t (Do I hear “cat” or “cap”?). When a child has poor sensory discrimination, he may appear uncoordinated and have trouble completing motor tasks like going across the monkey bars, walking down a flight of stairs, or finding his way across a crowded room. It’s common for these kids to engage in sensory seeking behaviors in order to get more input to tell their bodies what to do. These kids often have trouble following directions, need directions to be repeated in order to understand what is being asked of them, and need more time than other kids to complete tasks. My older son has poor sensory discrimination with vestibular, proprioceptive, and tactile input. As an infant, he screamed uncontrollably when he was on his back or if I held him in a cradle position. At the time, I had no idea what was going on, but looking back I now understand that because of his poor vestibular discrimination--the inability of his brain to determine where his body was in space--being placed on his back was frightening and quickly sent him into a fight or flight response. Due to his poor proprioceptive discrimination, he engages in sensory seeking behaviors such as toe walking and lots of crashing, jumping, hanging, and banging. He loves eating crunchy things because they give him more oral input. He has trouble with fine motor activities like using scissors, coloring, and buttoning his shirts and pants because it’s difficult for him to judge how much force to use. Engaging in these activities often results in a meltdown because it is extremely frustrating for him to be able to conceptualize what he wants to do but not be able to actually do it. Kids with poor sensory discrimination are at higher risk of developing low self-esteem, especially when they are misunderstood and judged by parents and teachers. So, there you have it. The three types and six subtypes of SPD. Easy, right?! It’s actually pretty overwhelming. But, hang in there, I promise it gets easier to understand the more you read and attempt to learn about it. If you are in the beginning of your journey, this is all new to you, so give yourself some grace and allow yourself time to let it all sink in. If your child is in OT, schedule some time with his therapist each week to ask questions and get further explanation of what his specific sensory issues are and how they are affecting him. One thing that has been helpful for me is to schedule separate Q&A phone or in-person sessions with my son’s OT so we have plenty of time to discuss his needs and his progress. Everyone has a unique sensory profile. The difference in children with SPD is that their specific sensitivities interfere with their daily functioning. Understanding your child’s sensory profile will help explain certain behaviors and reactions and allow you to respond to your child’s needs more effectively. Sensory Processing Disorder is quite complex! Make sure to schedule time outside of your child’s OT session to ask his or her OT questions. Do not hesitate to voice your concerns and ask for progress updates.